Hummingbirds are the only group of birds that can fly backwards. 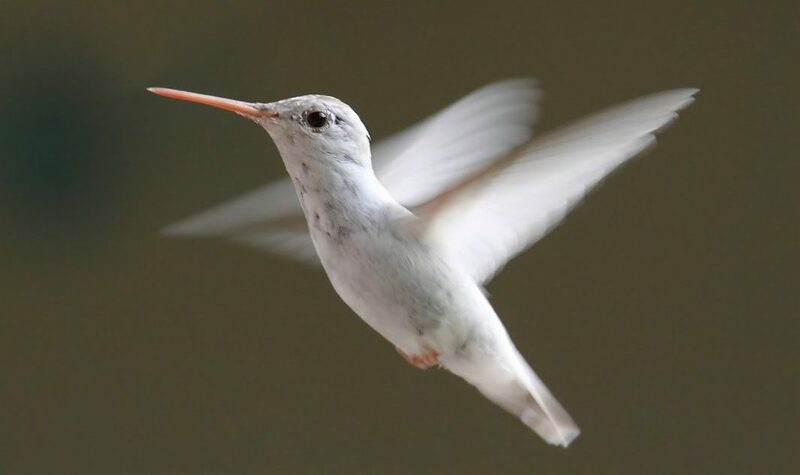 The flight of a hummingbird is more similar to an insect then a bird. Hummingbirds fly by lapping their wings rapidly (12-90 times per second, depending on the species) and this technique allows them to hover mid-air and fly in every direction. With the exception of insects, hummingbirds while in flight have the highest metabolism of all animals, a necessity in order to support the rapid beating of their wings. Their heart rate can reach as high as 1,260 beats per minute, a rate once measured in a Blue-throated Hummingbird. The word “hummingbird” derives from the characteristic “humm” sound made by their rapid wing beats.